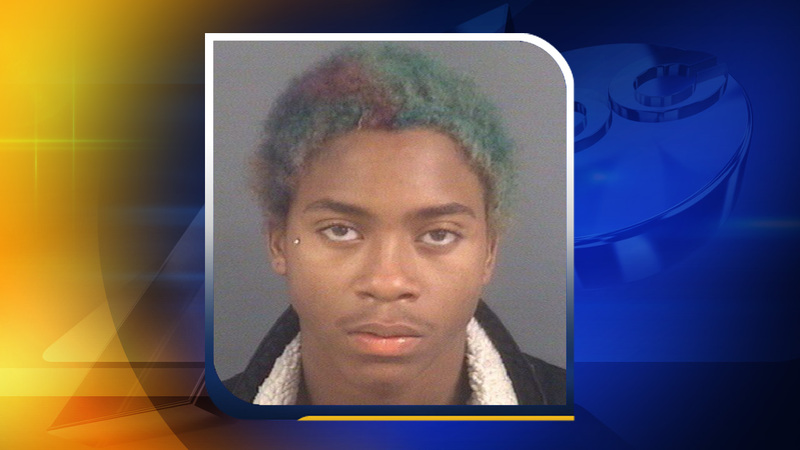 FAYETTEVILLE, N.C. -- A Fayetteville, North Carolina teen is behind bars, accused of assaulting his girlfriend and decapitating a dog earlier this month. On Monday, deputies arrested 18-year-old Antonio Hollywood Campbell after his girlfriend, Jordan Stevens, told deputies she went to Cape Fear Hospital on Friday with pains in her neck after Campbell allegedly choked her. Stevens said she was at Campbell's house, located in the 1500 block of Gillespie Street, when they became engaged in a fight. The woman claims she became upset with her boyfriend, ran into his bedroom, and called her mother to come pick her up. Stevens claims Campbell started accusing her of talking to other men, took her cellphone from her, pushed her face down into his bed, sat on her, and placed his hands around her neck, choking her. The woman tried to break free but said the suspect began to press even harder, causing her to lose the ability to breathe and scream. Stevens added that about three weeks ago, she was at Campbell's residence when he became upset and said, "Well, if you ain't gonna be with me, then I am going to kill the dog." Reports show he tied a leash around the neck of the puppy and began to spin the dog around in the air by the leash. Deputies said he then tied the leash to the back of a vehicle and drove several feet, dragging the puppy behind. Campbell then allegedly placed the puppy between two cinder blocks so it couldn't move and decapitated the puppy with a hatchet. On Monday, detectives conducted a search of the suspect's residence and found the cinder block, hatchet, remains of the puppy, and a sawed-off shotgun. Campbell was charged with domestic violence felony strangulation for the assault, animal cruelty, and possession of a weapon of mass destruction.